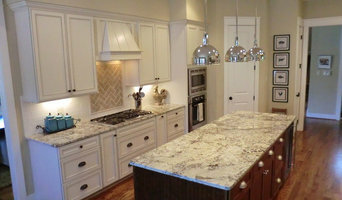 Classic Granite & Marble is Virginia's premier granite fabricator and installer. Conveniently accessible from highway 288, our 34,000 square foot facility offers an elegant, award-winning showroom and OSHA-certified state-of-the-art production area designed to present a safer, cleaner, and more accessible environment. Our indoor granite and marble collection consists of over 4,000 slabs and 300 color options. Each selection is specifically chosen by Owner, Tony Kilic, from various countries including Italy, Brazil, and India. M-F 8AM-5PM, after 5PM by appt. Saturday 9AM to 4PM At Classic Granite & Marble, we "Strive for Excellence" by offering experienced advice on the highest quality of natural stone from talented, knowledgeable consultants and craftsmen. We provide security from the beginning of the process until the very end. From our modern template technology to our industry-leading robotic saw and edging machines, we ensure your counter tops are stunningly beautiful and distinct. Along with our promise to deliver on quality, we offer a one year craftsmanship and material warranty. Our team looks forward to providing you with our admirable products and unmatched services! Designed to Sell is Central Virginia's Premier Home Staging Company, Our professional stagers assist Realtors and Home Owners. We strive to present beautifully styled homes that turn "For Sale" homes to SOLD! We accomplish this with a keen eye for design and detail as well as our own enormous inventory of exquisite furnishings and accessories. Led by Tammy Wilkerson, a veteran home furnishings expert. Tammy and her team of home stagers know what it takes to evoke an emotional response that makes buyers feel motivated to buy!! In addition, our 11 years of staging homes in Central Virginia gives us thorough understanding and real estate market and allows us to custom tailor a design plan specific to your property no matter what the demographics or price tag. I create high functioning and beautiful storage and organizational spaces that customers enjoy and appreciate on a daily basis. From simple to elaborate and absolutely everything in between, I can help you create a sense of peace in any area of your home. Working within any budget and any style, I show you how easy it is to create custom storage for the organization you need! Whether you are looking to build a new home, add rooms or give your existing home that much needed facelift with a renovation, the first step to start the project is a good plan. Quality residential drawings for contractors, companies, and individuals. All drafting designs are done by hand. Finish carpentry specialists located in Richmond Virginia. We are professional trim and finish carpenters we install molding and mill work. We are also stair contractors and install stair and hand railing. We can remodel your homes staircase by removing the white builder grade pickets and installing iron balusters. We are custom woodworking company. We are a niche company unlike a jack of all trades or general contractor. 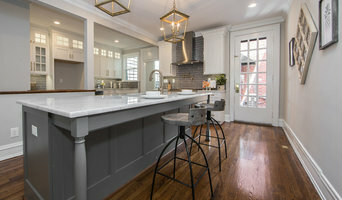 With locations in Richmond, D.C., Virginia Beach, Raleigh, and Charlotte, we are the Mid-Atlantic's natural stone distributor, selling Cambria Quartz, Granite, Marble, Neolith, etc. to fabricators, designers, and architects. Founded in 1987, MARVA The Galleria of Stone has become a world-class leader in the natural stone industry. Through our passion for stone, MARVA professionals diligently travel the world to obtain the most magnificent and impressive materials the Earth has to offer. Today, MARVA is recognized as one of the largest and most prestigious natural stone importers and distributors in the Mid-Atlantic. Showroom open to the public: Monday - Friday 8AM- 5PM. Saturday 8AM - 12PM Open by appointment Thursday evenings until 7PM with 24 hours notice. Even if you're the kind of person who makes everything a DIY project, there's always a point when a home remodeling or decorating project could use a professional set of eyes. Whether you are redoing your backyard, need some help planning your living room or can't figure out where to put the kitchen sink, a quality home professional in Chesterfield, VA can help you do it right. Hiring a qualified Chesterfield, VA home professional puts their years of schooling, certifications, training and experience right at your fingertips. But before you start sending out dozens of emails and making phone calls, sit down and think about your project. What's your budget? What is the scope of your project? Will you need more than one type of professional to complete your home improvement project in Chesterfield, VA? Can you afford to complete the full project now, or should you tackle it bit by bit? Once you've settled on your project’s priorities, budget and scope, it's time to start researching Chesterfield, VA home design professionals. Don't sell yourself short and settle on the first professional you set your sights on. Make sure that you're working with someone local, who can get to the jobsite easily and efficiently. Look into the person’s reviews, ask to speak with former clients and to see previous jobs in person. Take a good look at their portfolio photos: How similar are these projects to your own? Be honest — that mansion might look beautiful, but it might not have a lot in common with your little bungalow. Reach out to multiple professionals — especially for larger projects — and don't settle for the first bid you hear. 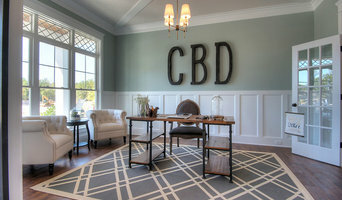 Comparing multiple Chesterfield, VA professionals' bids and experiences can help you find the one that’s best for you. Ask a lot of questions now, so you won't have unexpected answers later. Find a home design professional on Houzz. Narrow down your search by type of professional and location. 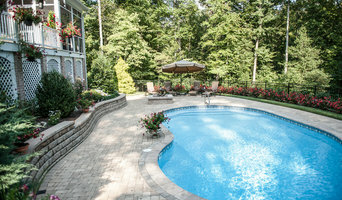 Browse Chesterfield, VA portfolio photos, read client reviews and contact each Chesterfield, VA professional for more information. Check out the information in the specialized professional sections too for tips on how to hire the right professional for your project.